Dear kind people of Mullingar , and all over our planet , please read this and share. I'm equally as heartbroken as I am angry . 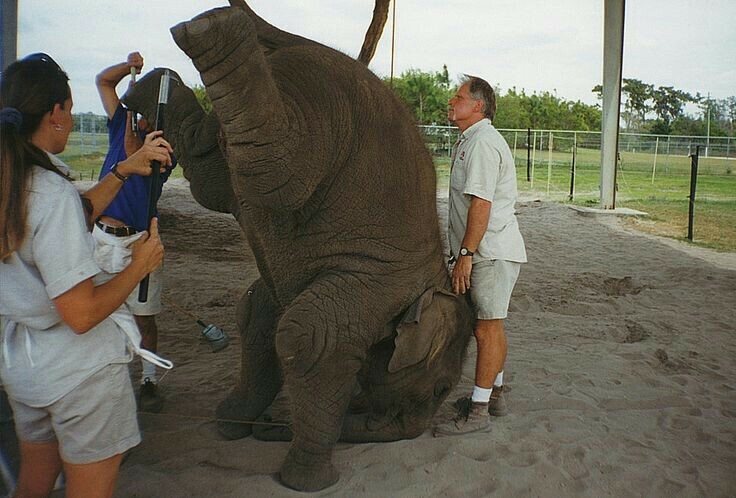 Please , please, please do not go to a circus that uses animals in any way. 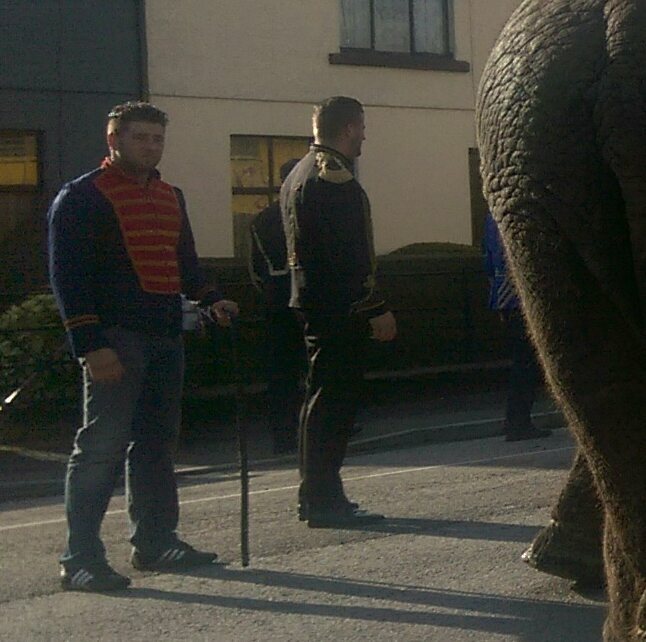 Today, 23 February 2016 in Mullingar, Ireland , 3 adult elephants were paraded as living advertisement for a circus here in town. Without any Garda presence for safety. Without any regard for public safety. Without any barriers or distance between them and the milling, giddy, loud, poking and prodding crowd. The largest of the 3 elephants was slapped 5 times with an open hand in his face, for all to see, after he suddenly turned a 180. 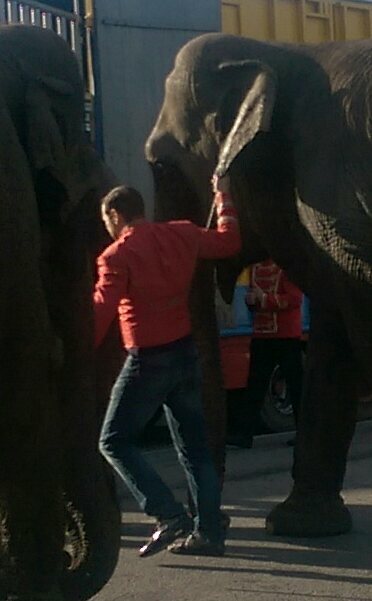 The smallest of the 3 elephants got visibly irritated and that's when their handlers turned them towards the truck and left... but all the while the guy standing beside this particular elephant had his head stuck in his mobile phone. Only the reaction and shouts of the children , and cries of some, alerted him to the bobbing head and then a sudden dart forward , followed by a growl that came from the elephant. He sobbed, he asked "Mammy why are they here, she looks too sad, they should be in Africa, it's not fair"
My daughter was crying and too upset to get out of the car. If my 7 and 5 year old know this is dreadfully wrong...why can't others??? That's when the weapons of choice , bullhook's, were hooked behind the elephants ears and banged against their legs .. and the elephants were lead back to the truck. I recorded the huge girth of these beautiful animals as they awkwardly obeyed by climbing into the back of the truck. I watched and recorded as the moron that had had his head in his phone, took a bullhook discreetly from another handler and boarded the truck to force back in one the elephants that wouldn't step back from the side opening of the truck... when the elephants were in, the same guy discreetly handed the bullhook back, all the while trying to keeping the sharp pickaxe point hidden from the trusting smiling and laughing crowd on the other side of the truck that saw nothing . A guy in a blue coat also held 2 whips. "We will not be going to your circus. Not until you set all these innocent animals free and have people as entertainment, acrobats, gymnasts, not until then." His smile vanished and he glared at me and shrugged his shoulders..
"This is the saddest, saddest thing, I said, " these animals don't belong here or in any circus. It's so wrong. No more. Do the right thing by them and set them free to a sanctuary. These animals deserve respect. It's not good for them"
"But it's good for me"
Human ego and greed is destroying all that is sacred about our world. Please don't contribute to it too. 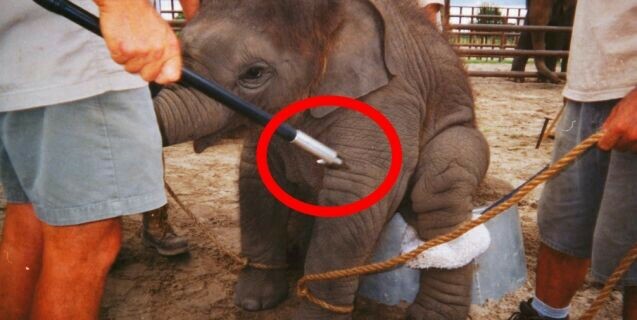 Please notice the cruel use of the horrific "bull hook" used on these innocent animals . 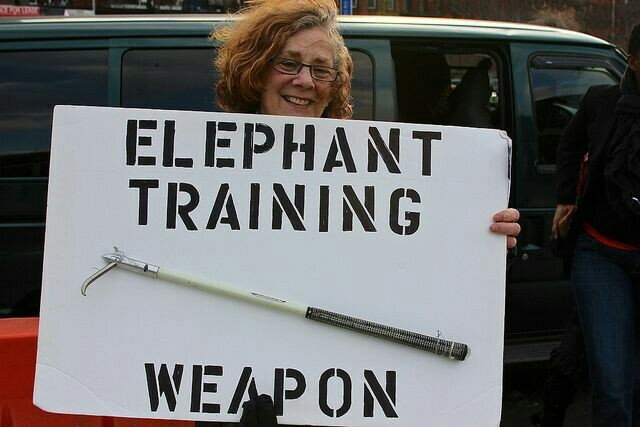 These are banned in many countries as they are used to intimidate, beat and intentionally hurt elephants, in particular for the purpose of "training" them... ie FORCING them to do pathetic , unnatural, disrespectful "tricks" . As babies these animals are forcibly separated from their mothers and family herd members. They are tied down, beaten until their spirits are broken and they give in to these cowardly barstard that claim to be "animal trainers". I beg you to wake up to the horrors that animals endure through their entire sad lives while in captivity for humans greed and entertainment. 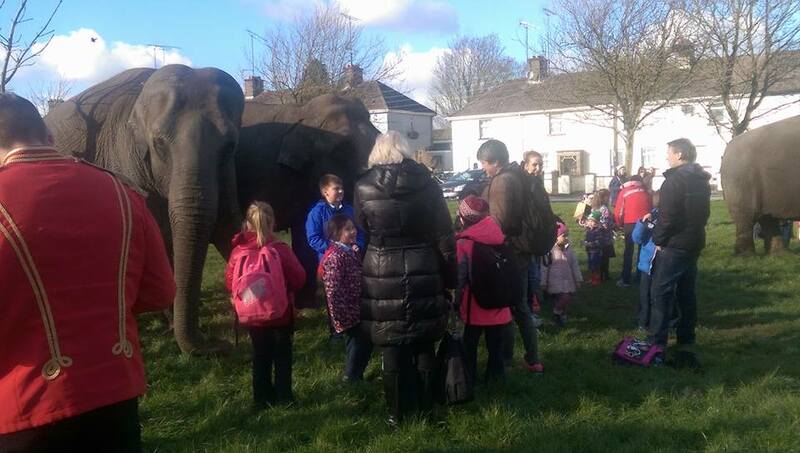 I couldn't drive past or walk away , my vegan soul was haunted by what I saw today in the centre of mullingar , on a public green... and if one of these no doubt frustrated creatures decided "I've had enough of this" and bolted through the crowd of children and parents that circled them...who'd come off the worst for it ? Last edited by granny; 26th Feb 2016 9:07am. Herman Renz Circus Netherlands bankrupted by the tax man, should and will be a thing of the past.These beggars with Elephants look like they should be running a flea circus.Empty tents will put a stop to it lets hope it is sooner, rather than later.Shame on the EU of rules for allowing it and Ireland in particular hosting it. So hard to think this can still be allowed in this day and age, also hard to think people can be so cruel because of their greed for money. So sad. This is my main shopping town to my village were I live. This has been happening for as long as I've lived here ( over 20 years ) there's usually a chimp or two passed into the crowd too, all for advertisement. This happens in all the towns as they pass by through. How and why is it that the local councils allow this to happen? 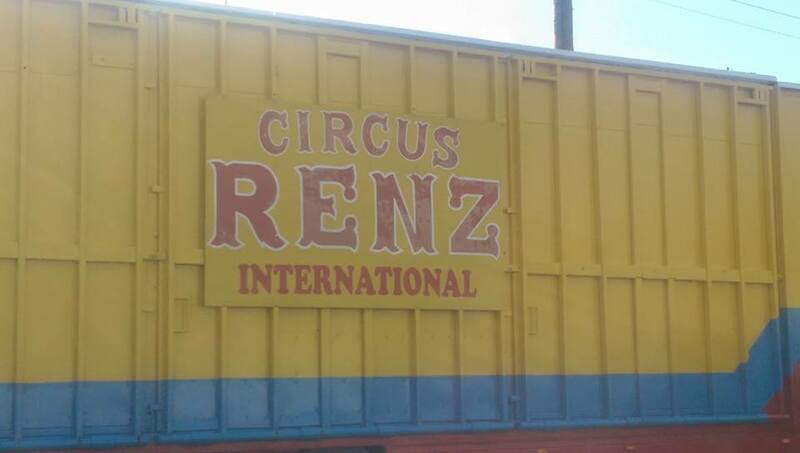 Surely the councils should be targeted, as they give the space and the OK to these circuses. If it's been going on for 20 years, shame on the local population for not standing up a long time ago. 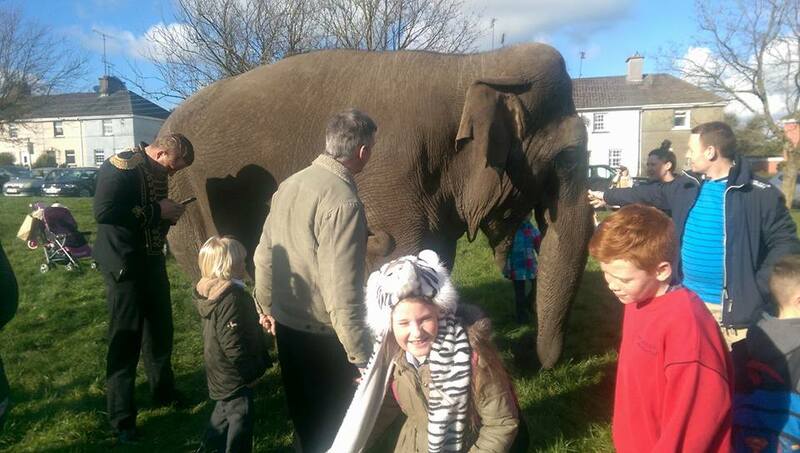 They got rid of visiting animal circuses in Felixstowe 20 yrs ago, through people power. The Arts Council in Ireland fund these circuses and between 2006/2012 a total of....Euros 980,044 had been given to animal circuses in Ireland. Last edited by granny; 26th Feb 2016 10:59am. But, Ireland is still so backward. The money is in Dublin only. The rest of the country is in the 1950s still, believe me, I live it. Last edited by snowhite; 26th Feb 2016 5:23pm. How many animal lovers have dogs, cats, rodents, rabbits, snakes, birds, reptiles and children for that matter in captivity in an unnatural habitat and performing in unnatural ways? If they really believe in this stuff they should sort out their own homes first - people in glasshouses etc. If you believe in "natural" that much, get your kit off, go to a jungle and live off the land. The cruelty can be controlled and regulated if these rights organisations put their mind to it instead of persisting with their own perverted version of "natural". Its probably because of zoos and circuses that so many people actually support endangered species and protection for animals. Years back we didn't have David Attenborough and media making the case for the monkey. 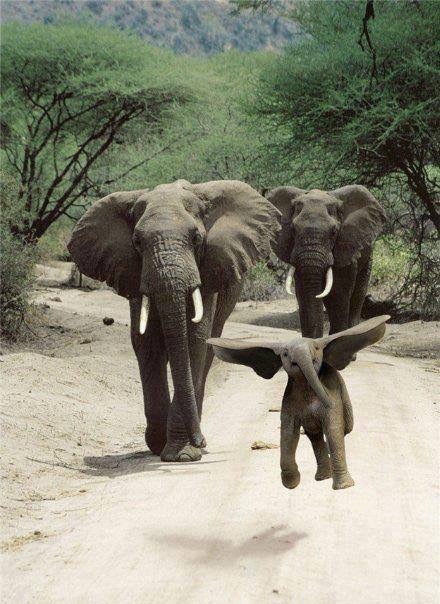 Seeing these animals in real life rather than photos certainly captures the imagination of young people. I suppose they could be shipped back to Africa or India and be poached for their ivory. Years back we didn't have David Attenborough and media making the case for the monkey. BUT we do now. Also remember that back in the day that there was an 'appetite' for Human Freak Shows too. The trauma these animals must endure is beyond comprehension. Travelling to Ireland across seas. We all know how very rough the Irish Sea can be. Imagine being stuck in a container for 8hrs not knowing what's going on, in the dark, and being tossed all over the place. 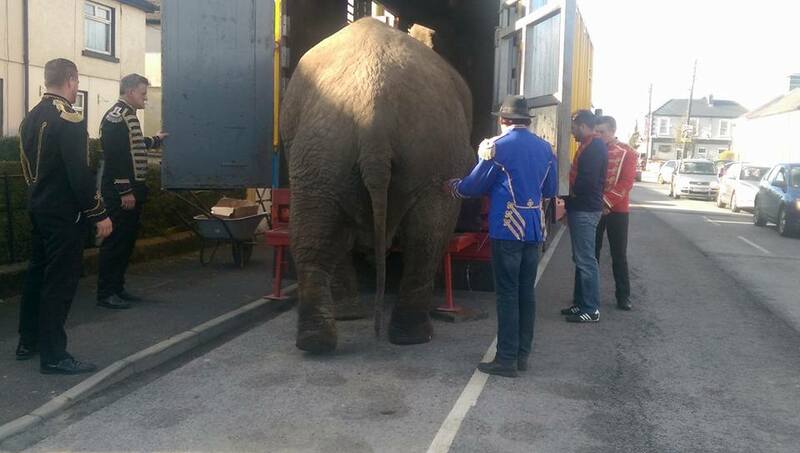 How does the UK allow these animal circuses to enter and cross Britain in the first place and how do the shipping companies have no health and safety rules, with regard to carrying such live stock and possible disease ? There are so many points that are blatantly being overlooked , but if it were Africans being transported, they would all be put into quarantine and given medical checks !! !